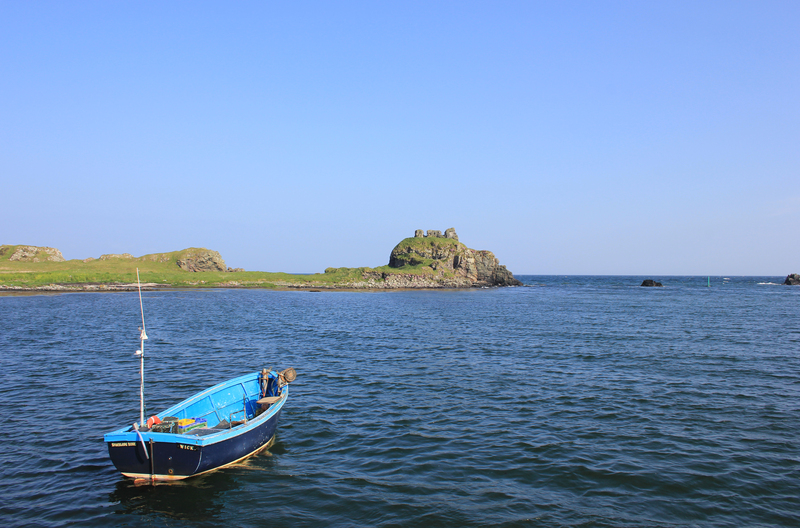 In June I visited Islay on a combined business/pleasure trip. It is not in our rules that we have to walk around the coast of the islands of Britain as well as its mainland. That was a good thing, because there were far too many distilleries to visit to allow much walking! Luckily, they tend to be at the water’s edge so we got to see quite a bit of the coast. Laphroaig in particular occupied a very pretty setting. 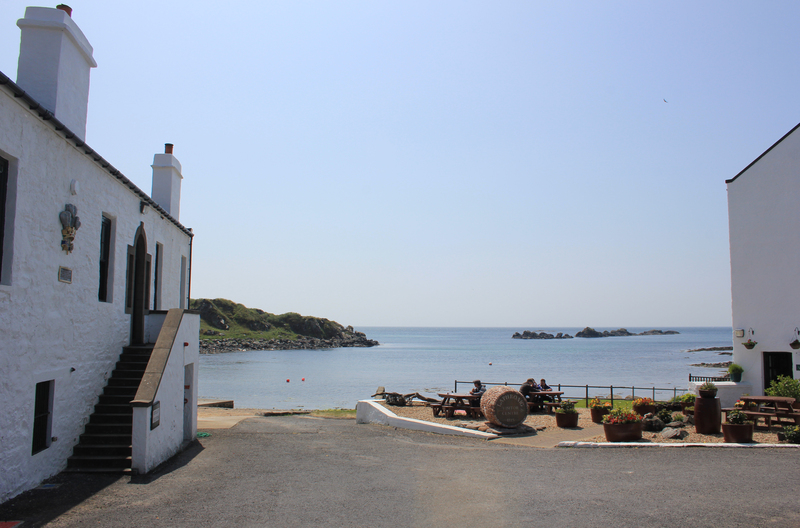 Mind you, the view from Lagavulin across its bay was worth seeing. Laphroaig and Lagavulin are neighbours. They are close enough to walk between. The route between the two took us inland rather than along the coast. Still, I was not complaining. 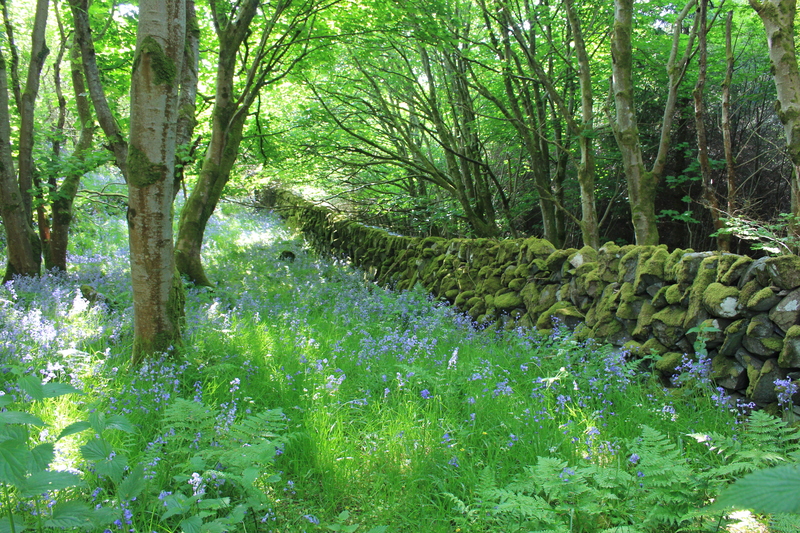 We walked along an old forest track where ancient moss grew on the dry stone walls and bluebells prettied the scene. Do you believe in Treefolk? I didn’t, but I do now, because I’ve seen one. Look at the next photo very closely. Do you see the tree closest to the wall? Do you see the face half way up? Do you see the moss cap, and the moss clothes covering the torso? Is it just me? 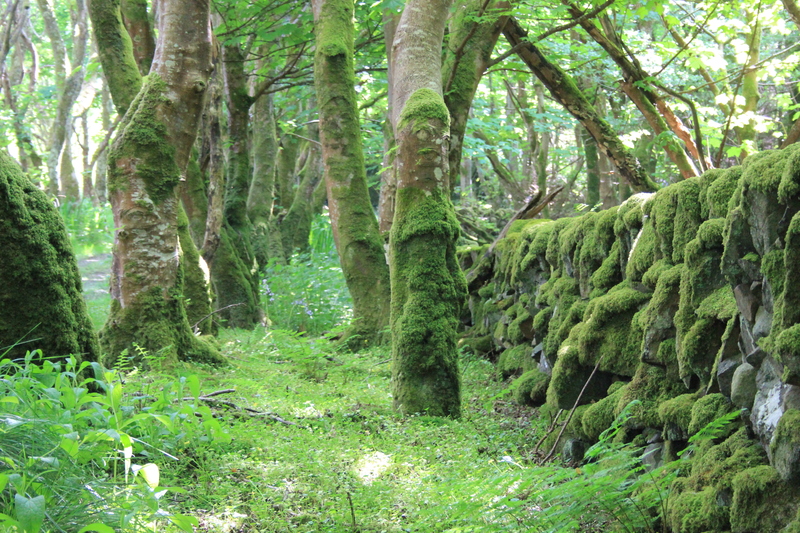 Laphroaig and Lagavulin are not the only distilleries in beautiful settings. 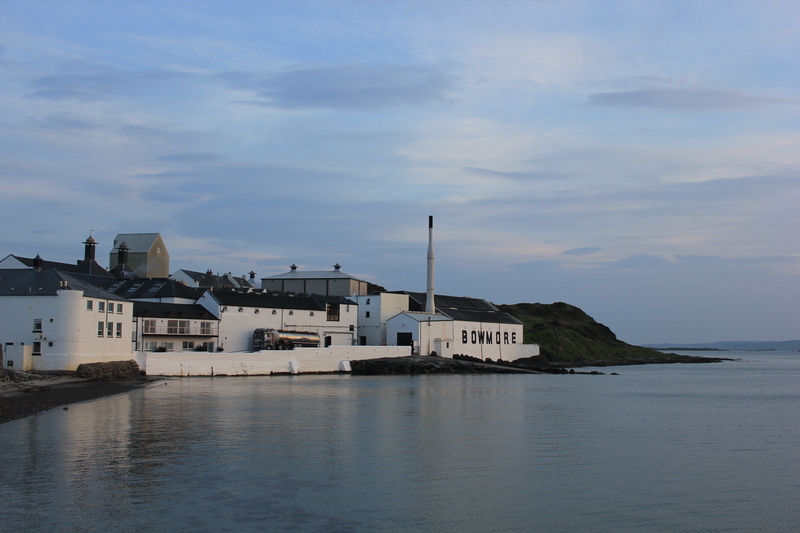 Bowmore has it pretty good too. 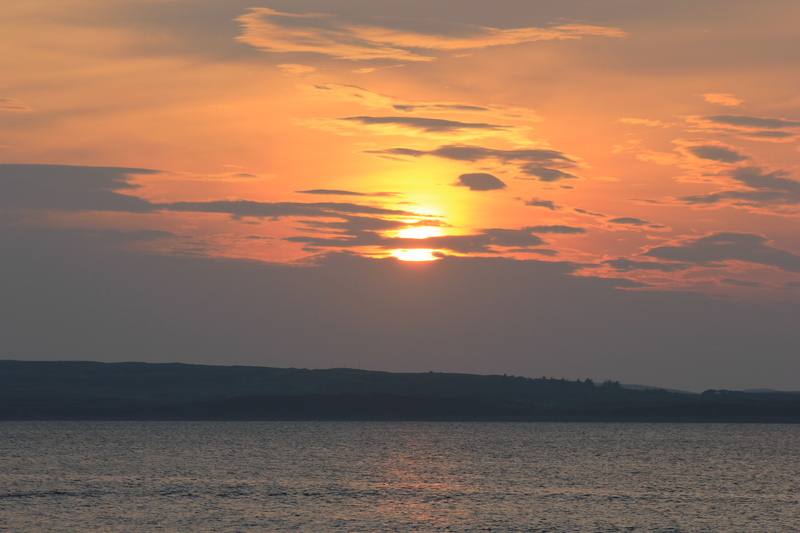 The sunset I got to see off Bowmore was the richest, most beautifully peaceful I have ever experienced. 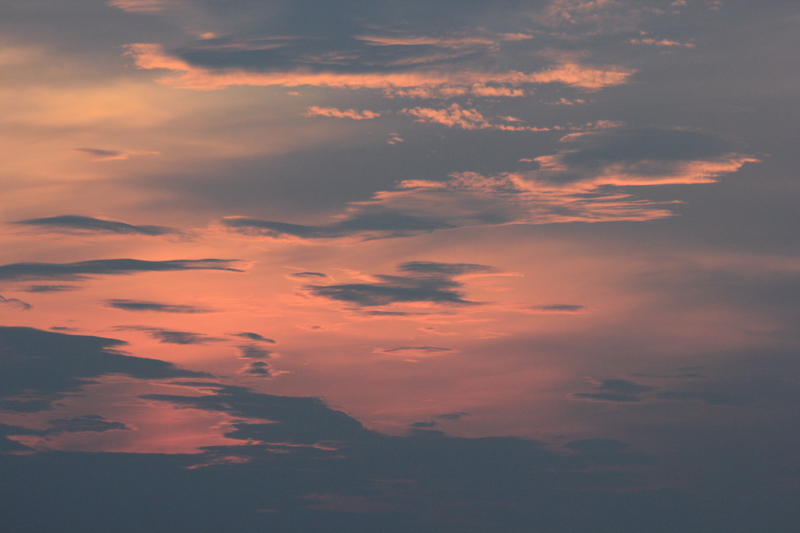 As the sun dipped below the horizon, it left a brief, warm glow to the underside of the clouds, before that glow finally disappeared too. This entry was posted in Islands, Scotland, Whisky and tagged Bowmore, coast, distillery, islay, Lagavulin, Laphroaig, sunset, travel, treefolk, whisky. Bookmark the permalink.